These lessons are designed for adult Intermediate to Advanced level English language learners and provide ten practical 50-minute ESL conversation lessons for online and offline teachers, whether one-on-one or group class. Each lesson begins with a short article that can be read aloud to check for pronunciation, reading fluency, and intonation. There also built-in pronunciation/intonation helps. Below each article is a vocabulary list of some of the potentially more difficult words or phrases with the usage, and a brief definition the student may encounter within the article. 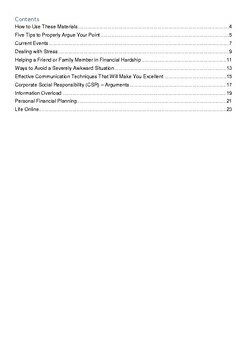 Following the vocabulary, a section on grammar points out a grammar point associated with the article, topic in general, or related to the perspective. 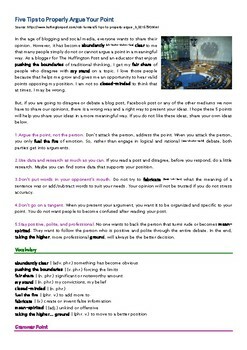 The in your own words section challenges each student to paraphrase the article using their own words. This exercise helps them develop their comprehension and ability to use the vocabulary and grammar from the lesson. After the paraphrase section is a dialogue meant to demonstrate how an actual conversation might proceed based on the topic. Try to have the student practice from both sides. 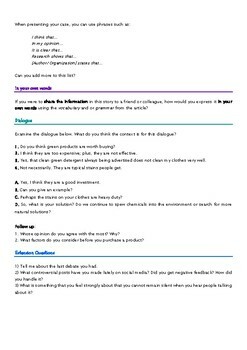 Included in the dialogue are follow-up conversation questions or vocabulary points related to the dialogue. Finally, the extension questions are designed to give the student an opportunity to demonstrate what they may have learned in conversation that relates to the topic and their own perspectives. Listening practice takes place during the conversations and the follow-up questions from the teacher. During the conversation element of each lesson, teachers can provide real-time feedback for the learner then review it after. Suggestions to improve the conversation element include having the student ask the tutor/teacher the same questions in order to provide a sense of real two-way conversation taking place rather than the far-too-common interview-type approach so popular in ESL lessons and classrooms today.